The Colonial District spring meeting and seminars will be held March 8 and 9, 2019 in Staunton, VA hosted by Shenandoah Rose Society. More information will be available soon. Rooms will be $119 plus tax. Reservations must be made by February 8th to guarantee a room. You may call Stonewall Jackson at 855-519-1090. Mention Colonial District to get the special room rate. I hope to have a good many roses on the silent auction table as I have many cuttings set in my greenhouse. There will be Friday night activities as well. Registration (you need to copy and paste or drag and drop to Word in order to print) Room rates cannot be guaranteed after February 8th. 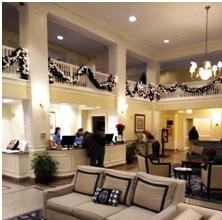 The Pre-Spring meeting and seminars will be held at the Stonewall Jackson Hotel in Historic Down Town Staunton. It is located just two blocks from the train station. Stonewall Jackson was totally renovated a few years ago and now has a parking garage attached. Originally built in 1924 and a member of Historic Hotels of America, this modern yet refined Virginia gem underwent a complete top to bottom renovation in 2005 and has been lovingly restored to it’s original grandeur. Stonewall Jackson Hotel was totally renovated a few years ago and offers anything we need for our meetings and seminars. The weekend will offer educational seminars to fit the needs from the beginner to the advanced CR. The Stonewall Jackson Hotel features an indoor heated pool, fitness center and a business center and showcases 8,500 square feet of meeting space with accommodations of up to 400. 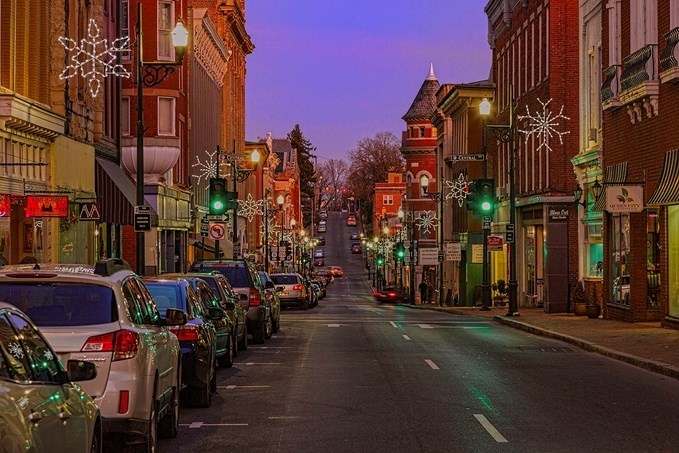 Downtown Staunton is just one block from Stonewall Jackson Hotel. You will find a variety of shops and restaurants. The downtown area is know for unique architecture much dating back to the late 1800's and early 1900's. Woodrow Wilson Presidential Library and Museum in historic Staunton, Virginia offers a variety of experiences for visitors of all ages. Retrace the inspiring journey of our 28th president at The Woodrow Wilson Museum as you take a self-guided tour through seven galleries which explore Wilson's early years, his eventful presidency, suffrage, prohibition and World War I. The President's restored 1919 Pierce-Arrow limousine is a highlight of the museum. Located just two blocks from the hotel. At some point in time Woodrow Wilson's Birthplace was painted white. A few years ago the white paint was sandblasted off to restore it to the original red brick. Mill Street Grill, where we will eat Friday night, is just across the street form Stonewall Jackson. It was originally White Star Mill supplying flour the much of the Shenandoah Valley closing down in the late 1970's. It was renovated as Mill Street Grill. White Star Mill played an important part in the history of Staunton.